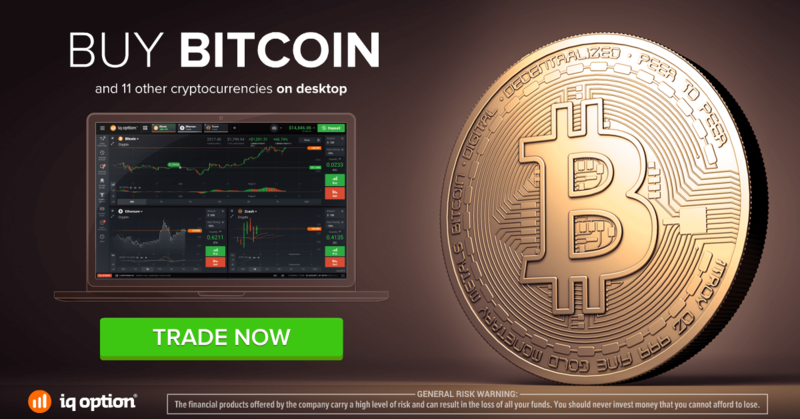 What Does Bitcoin Offer Traders? Bitcoin is the world’s first crypto currency, a characteristic that makes it uniquely interesting for all types of trading. Our guide explains how to trade the asset itself, which brokers allow trading with bitcoin and the best strategy for this volatile market. Bitcoin might revolutionise the world – or it might fail within a few years. Decide for yourself, and take a position. With this information, you will be able to understand whether Bitcoin, or Bitcoin cash, is the right investment for you. Bitcoin is a crypto currency, which is a unique new type of currency that does almost everything differently than conventional currencies, for example by neglecting a central managing authority. Conventional currencies such as the Dollar are issued by a central power such as a government. Even newly invented currencies such as the Disney Dollar are backed by one authority that instills faith in the currencies and its purchasing power. Cryptocurrencies go a different route. There is no authority behind the currency, even its inventor Satoshi Nakamoto remains shattered in obscurity and might just be a synonym for a group of people. Bitcoins are completely digital. They exist in a long chain of information packages on computers all around the world that is constantly checked and updated (blockchain). By providing the calculating power for these operations, users can earn more coins, which is how the currency is distributed. This process is called mining. The technical side of Bitcoin is incredibly complicated and could fill its own book, but we will keep it at that. Bitcoin is an electronic currency that is distributed through and managed by computers around the world and not backed by a central authority – that’s all you need to know. Since 2015, more than 100,000 merchants worldwide accept Bitcoin. Among them are such major players as Microsoft, Dell, and Paypal. Bitcoins is not the accepted currency of a country or an area, but it is a niche product that has found significant influence around the world. Bitcoin has become a currency that can do the same things as conventional currencies but still is fundamentally different. Binarycent allow traders to deposit and trade with 15 different types of Cryptocurrency. Bitcoin and crypto currencies are the third waves of currency types, decentralising currencies, which has a significant effect on how the currency works. Until the 1970s, most currencies used the gold standard and defined a fixed exchange rate between the currency and gold. After money was no longer backed by gold, it was backed by the belief in a government’s or an authority’s ability to pay its bills. When we exchange Dollars into Euros or Disney Dollars, we do so believing that the authority behind the currency guarantees its value and purchasing power. With cryptocurrencies such as Bitcoin, this system no longer exists. The system is backed by the faith in the system itself and by the faith in other people who believe in the same system. Bitcoin decentralises money, which has advantages and disadvantages, depending on what you expect from a currency. There is no central bank and no government behind the currency; it is based on the faith of the people. Additionally, this currency is free from fundamental influences. Its exchange rate is solely determined by supply and demand. Conventional currencies experience strong fundamental influences. For example, when a government prints a lot of money, the supply of the currency will increase and the price will drop. When a government increases the base rate, credits become more expensive and savings more attractive, which leads to lower supply and an increase the currency’s price. Such fundamental influences are strong and can change unexpectedly, which adds a strong sense of uncertainty for traders. Since Bitcoin lacks a central authority that manages the currency, there are no such fundamental influences. The rate at which new coins are issued is predetermined and self-adjusting. If more people mine new coins, the number of new Bitcoins per operation decreases to keep the overall amount of issued money constant. The only factor influencing the price of a cryptocurrency is supply and demand. This is a unique property no other currency can match. Because Bitcoins lack a central authority that backs the currency, it is difficult to trust for many investors. Historically, the worth of a currency depended on the trustworthiness of the authority that backed it. Without such an authority, many traders find it difficult to trust Bitcoin. Critics argue that every currency needs an authority managing it and guiding it through difficult times. Bitcoin is an anarchic concept that puts more faith in swarm intelligence than in single managing authorities. Many people argue that this approach leads to a lack of stability that endangers the currency. Additionally, the usefulness of Bitcoin is limited by the impossibility of surviving on this single currency alone. As a crypto currency, Bitcoin has no predetermined area where everyone accepts the currency. Regardless of where you live, it is almost impossible to unrestrictedly go about your daily life and pay with Bitcoin wherever you go. Since no country is likely to adopt it as its main currency, this limitation is unlikely to change in the near future. Consequently, Bitcoin will likely forever be a niche product that a few internet geeks use. There is no reason why it should remain the main currency for this purpose. There have been crypto currencies before, and there will likely be crypto currencies that one day edge Bitcoin out of the market. Based on the time lines on which these things played out in the past, this process is more likely to happen over the next decade than the next century. This impending end of the currency, including the loss of purchasing power that comes with it, strongly questions whether these digital wallets are a reliable form of payment. In many ways, the disadvantages of Bitcoin are also its advantages. Many people consider the lack of a central authority one of the biggest advantages. They argue that authorities can misuse a currency for their own purposes, often injecting a sense of uncertainty and unpredictability. To these people, swarm intelligence provides a more reliable, more stable basis for a currency. Additionally, the fact that Bitcoin is not the currency of a single country can be seen as an advantage. In a globalised world, a currency that is accepted by shops and people all over the world is a significant plus. Bitcoin is one of the few currencies that has the potential of becoming the currency of the future. Some people expect that the world will eventually use a single currency, but the U.S. will never adopt the Chinese Renminbi, and China will never adopt the U.S. Dollar, but it might be possible for a new currency to edge out both currencies and replace them in a decentralised way. In this sense, the concept is an experiment. Whether it makes sense to invest in this experiment depends on whether you believe that it can succeed. For financial investors, Bitcoin is an interesting currency because it is completely free from fundamental influences. There is probably no other asset whose price is less determined by fundamental influences. Even stocks experience influences such as earning reports and the overall economic situation, but cryptocurrency is completely free from any of these influences. If you want to trade in an environment that is solely influenced by supply and demand, these new currencies are ideal for you. For technical analysts, Bitcoin provides a great environment in which their tools should work more effectively than in any other environment. Currently, nobody has tested this connection in a scientific study, but all signs indicate that it should be there. The sole dependence on supply and demand opens the door for a higher volatility. With other currencies, fundamental influences often keep pushing the currency in one direction for long periods, and swings are marginal. That can be a great way of trading because it allows for long-term predictions. But if you want to make a lot of money in a short period of time, you need volatility. This volatility is more likely with Bitcoin than with other types of assets. Once again, the ongoing expansion of Bitcoin makes it difficult to assess this connection in detail, but an expanding market with a strong influence of supply and demand should, in any case, lead to higher volatility. This is why traders who want to invest for the short run often prefer Bitcoin. They hope that they can make more money in a shorter period of time than with other currencies. Bitcoin is a currency experiment that faces many challenges but might just revolutionise the world. Because it relies on the support of many people instead of the backing by a single authority, it shows unique characteristics that separate it from all other currencies and other assets, first and foremost a strong influence of supply and demand. Whether you want to invest in these new currencies is partly a matter of belief. If you like anarchic projects that transform classic responsibilities of governments into private projects, this will probably sound like a great idea to you. If you think that a government provides much-needed stability to a currency, these assets might not be right for you.